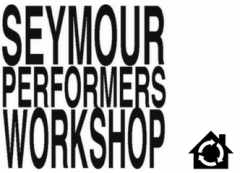 Seymour Performers Workshop is delighted to announce our 2019 Season of productions and events. This is our most ambitious and exciting program to date with a jam-packed calendar of activities on offer throughout the year. For further event information keep an eye out on our website and Facebook page, or sign up to receive our Newsletter. Tickets can be booked here as they are released.